Still on the Infinix Hot X507 android smartphone, here is an interesting tutorial that would aid those who intend using glo bis on the device. As you must have heard, glo bis can be used on android phones after the android phone IMEI has been successfully changed to that of a blackberry phone. Earlier before now, we had published a post which clearly shows detailed tutorial on changing android imei to a blackberry imei. Although that method worked very well on the innjoo note, it didn’t work for the infinix hot. Here on this post, we’d like to show you how to change the infinix hot imei because we have changed ours. => Since we rooted our device first, it’s advisable you root your infinix x507 device before following other due process. 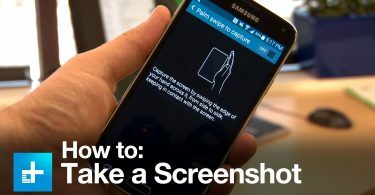 Please Click Here to learn how to root the phone. => Generate a blackberry imei (Tutorial coming soon) or you can request using the comment form and one will be sent to your email address. => Make a backup of your phone current IMEI. This is important in-case you’d like to revert back to its default IMEI anytime. => Download Mobile Uncle from Google Play store Here. => Launch the app, choose to grant root access when prompted. => Tap on Engineer Mode > Engineer Mode (MTK) > Connectivity > CDS Information. => Under CDS Information, Tap On Radio Information. If you want to change the SIM 1 IMEI number, choose Phone 1. If SIM 2, choose Phone 2. => At this point, you should see AT+. Tap on it and Press E. A pop up options should display. If changing SIM 1 IMEI, choose AT+EGMR=1,7,””. If SIM 2, choose AT+EGMR=1,10,””. Give a space between AT and + thereby making it look like AT +. =>Next, go in-between (center of) the two inverted column and type in the Blackberry IMEI you’d like to use. Thereby, you should get something like AT +EGMR=1,7,”(New BlackBerry IMEI Number)” (Please do not include the bracket). When done, Tap On Send At Command and you should get an ‘At command msent‘ message. => Now close the mobile uncle tools app, Turn on Airplane mode and restart the device. => When properly booted, Turn off airplane mode and dial *#06# and you should realize the new BB IMEI number you changed to. => Fix in your already subscribed GLO BIS Sim or you can choose to subscribe on the android by sending comonth to 777. Make sure the APN is set as blackberry.net and you should enjoy surfing with glo bis on your infinix hot x507 phone. Hello.I tried the things in the post but they didn’t work.When I dialled both codes, nothing happened.How do I even know if my phone is mtk or not. I’ve rooted it and downloaded mtk engineering app but still it didn’t work. I used the bb imei app but it didn’t work. Please help send an imei code and if u can help. I use an alcatel pixi3 phone. Precybabe, please ask our the bbm channel(you can find the link a little before the comment session) and I’d send one across to you ASAP. please i need blackberry IMEI for my LG phone and my infinix hot2 phone. please kindly send the steps to my Email address………. [email protected]. hoping to hear from u.
hello, I have managed to change the imei to my desired one but its like it is not valid. because am not able to surf for bb sub,, please am asking for a valid bb imei..
How can I subscribe my techno H5 to blackberry subscription? pls i need ur help ???? Thank-you great read.! Please send me a Black Berry IMEI. Pls I need a bb imei for my infinix zero 1Gb 8Gb. Tnx. Hi Samuel, thanks for everything. Sir please I need a valid BB imei. I’ll be most grateful. Thanks, keep up with the good work. Youngcruix, which error did you get? Plz sir, I need application for creating BB imei to install on my computer. the old one which is gipbb that I have, has virus. so I need latest one now sir. I need full procedures on how to change Infinix imei to black berry. Please also generate me blackberry imei….. Thanks. [email protected]. please can u send me an imei number I can use on my tecno N7 . am.using airtel . To check data on glo bis, dial *777*0# or send status to 777. Johnson, it seems you were the one who sent me an email. I have replied you with a Blackberry IMEI number as requested. Cheers! In that case Chinex, root the phone first. Jejelowo, that may be as a result of the fact that you do not have an active blackberry subscription. Send Status to 777 to confirm. I need blackberry IMEI pls. thanks for ur kind work keep it up ur reward is in heaven. Please how can one root lenovo K3 note. Hey Guys, thanks for the direction so. I HAVE A LITTLE ISSUE, MY DATA IS NOT COMING ON AND I DONT NOT WATS WRONG….PLZ HELP!!! pls, can u kindly send me a dummy explanation of swappin the infinix hot x507 imei to bb imei cos, m confused. m new to android. pls, i will also need a bb imei. my email is [email protected] tnx. Kindly get me a working blackberry imei,please send to [email protected] thanks! Yes you can. Please follow the instructions on the post. How can I change the imei of a non MTK Android phone, like itel it1502? pls Mr sam, I av a issue on how to generate my bb imel number, I av downloaded mobile uncle trying to generate but the reply I always get was AT command failed to send. pls help me, my email is [email protected] or gmail account [email protected]. Pls inbox me bb IMEI no. and ani imei number plz u can send to [email protected]. hey Samuel its been pleasure to read ur block and i find it vry interesting. i have tried very tin on dis block and i am gud to go. but der iz problem i am havin, iz it all de imei of a bb phone wnted to if an imei wl werk. Pls I need a bb imei for my infinix hot. Personally, i don’t see anything wrong in rooting a phone other than the fact that it voids your phone warranty. Currently, changing a phone’s IMEI is the easiest and most effective way to using glo bis on android. Please send your request to my email so i could get back to you ASAP. PS:how many times can you change a phones imei? There’s no limit to the number of times a phone’s IMEI number can be chanced. However, i won’t advice doing the process to often. Only do it when it’s really necessary. Please i need a bb IMEI number! D’Guru pls I need ur help seriously am usin samsung ace2. it is a single sim phone pls I need ur gelp on hw to enjoy brousin av exusted all ma money on suscroption. pls help me or pls it posible for me to chang d imei to blackberry or anytin pls sir help creat one. eaitin foward to here from u sir. If you are in lagos state, you can take it to GSM village so that they can change the IMEI for you. If you don’t want to change it, you can use glo (2500 for 4.5GB), MTN (N2015 for N2GB), Airtel (N1500 for 2GB bis plan). All information on these plans are available on this blog. Sammy, I use Tecno H5, I changed the IMEI correctly. I don’t know why it refused to work oooo. Maybe the IMEI is already in use. Try using a more valid one. Hello, guess that’s because the IMEI has already been used. You can try changing to another IMEI and make sure the APN is blackberry.net. How do i make the APN blackberry.net? Please explain as i amconfused. Also i have subscribed for GLO Bis but i am yet to be notified on a successful subscription. It says i should wait for 1 hour. Is it a general thing or just me? Yes, you can change the infinix zero imei without rooting it. That’s just a network ish. Should probably get better with time. Sammy, this is the message I received after I sent it ooooo “Sorry, you currently have no active Data Bundle. Subscribe to a data plan now! Text HELP to 131 for a list of available data plans.” pls what’s the solution now, I will be glad if you can assist me pls. Tnx Boss. Perhaps the IMEI number you used was wrong. Try changing to a valid one. Use the instructions above squarely and you should be good to go. Which kind of android phone do you use? I am a first timer on your blog, pls, I will like to get the information on how to change my IMEI to that of Nokia from my Android H5, pls, I need clear illustration, Tnx boss. Kudos to you. Thanks for visiting. Please visit http://techsng.net/2015/02/get-free-mtn-250mb-data-unlimited-february-2015.html the IMEI there is a nokia imei. Weldone… I am just visiting your blog for the first time.. And am impressed, what a great post. Please I need a blackberry imei number thanks. It is not compulsory we root the phone. I also use Infinix hot and I have changed the imei several times without rooting. Hello, you can create one for yourself Here. IMEI Sent! Please check your email. Good day mr sam, please i check my email but i dont see anything, please help me resend the IMEI to [email protected]. I have tried to download the generator but can’t. Can u please generate one and send to me? Sent! Please check your email address. @kelvin, yea. In fact, I first got to know of the mtk engineering mode before this mobile uncle. I used mtk Engr mode to change my TECNO q1’s imei and used mobile uncle to change that of my infinix hot. Please! I need a Blackberry IMEI. Thanks. Which one is ‘mobile uncle’ again? 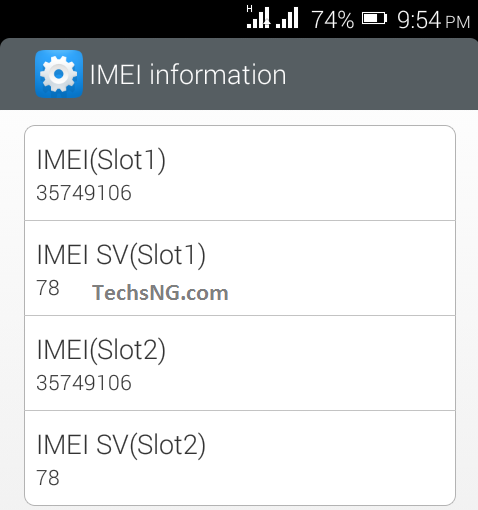 Well, I used ‘mtk engineering mode’ to change the imei of my tecno q1 today.